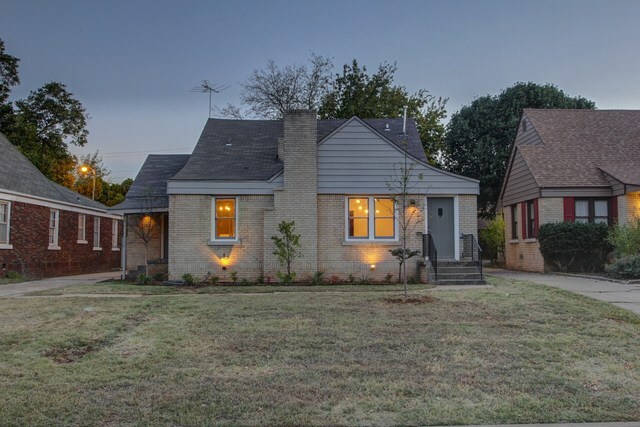 Amazing Remodeled home in Historic Shepherd Neighborhood. Check out all the modern elements with rustic touches throughout. All NEW CUSTOM KITCHEN w/ new cabinets, stainless appliances, quartz countertops & subway tile backsplash. You will dig all the outstanding modern/rustic lights through out the house. Master Suite is a quite impressive w/ free standing tub, custom built vanity with double sink, built-in wardrobe closet & EXTREMELY spacious walk-in shower with multiple heads!! One additional bedroom and full bathroom on the first floor all remodeled! Upstairs is an additional living room with vaulted ceiling with another full bathroom and bedroom. Inside utility room off the kitchen and side porch which is perfect for mud room. 2 car detached garage with opener in the back. Spacious backyard ready for you to entertain. All new electrical including wiring new service and panel, all new plumbing including tankless hot water tank, all new Zoned Central heat and air system.